Self-employment once considered vaguely disreputable, a term frequently mumbled under one’s breathe and struggled to explain to friends and family has become the largest growing sector in the Nigerian workforce. It has come a long way from the concept of working in pajamas at home to securing small, mid-size or large offices in shared spaces like Venia Business Hub. 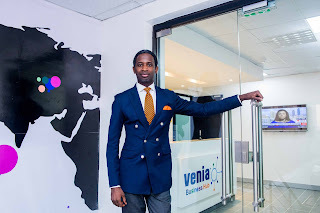 CEO Venia Group, parent company to Venia Business Hub, Kola Oyeneyin has stated that the new era of self-employment has increased the demand for serviced co-working spaces. “Apparently Nigerians are not waiting for government to create jobs for them, they are creating jobs for themselves and hiring others in the process”, he said. 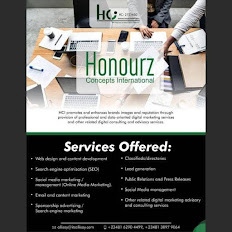 The serial entrepreneur who recently launched his second business hub, a one-of-its-kind fully serviced affordable co-working space in Lekki Phase 1, stated in a release by the company; “Start-ups, SMEs and multinationals alike have a driven demand for a new, flexible place to do business. There is nothing like working elbow-to-elbow with interrelated companies- feeding off, learning from and growing with one another in an enabling environment”. “Today we are experiencing a brand new culture where businesses don’t necessarily see themselves as competitors but as co-habitants in the eco-system. They have realized that they need each other. They want to belong to something bigger than themselves and that is what Venia Business Hub provides”, he added. Venia Business Hub is the leader, by far, in a surging co-working and serviced space trend in Nigeria. From setting up Venia Hub 1 in 2011 to the launch of the state-of-the-art premium affordable workspaces at Hub 2 in December 2015, the company is fast growing with plans to expand in infrastructure and partnerships across Nigeria and Africa. “Over the years we have built a community made up of start-ups, SMEs and multinationals and are providing members of the hub with services beyond just office spaces but an enabling environment to do business in Nigeria without operational worries”, Oyeneyin stated. Smack in the middle of a bubbling entrepreneurial driven ecosystem, Venia Business Hubs serve as platforms for job creation, enterprise building and collaborations. The business advisory services provided to both members and non-members of the hub has been one of the major value-adds to numerous Nigerian early-stage businesses. Members of Venia Business Hub also enjoy high speed Internet services, fully kitted conference room with video conferencing services, stocked kitchenette and cafeteria and many other value added services. Oyeneyin believes that Venia Business Hub can be transformational to the budding entrepreneurial and evolving white-collar industry, with plans to expand to other districts within Lagos before the year runs out.